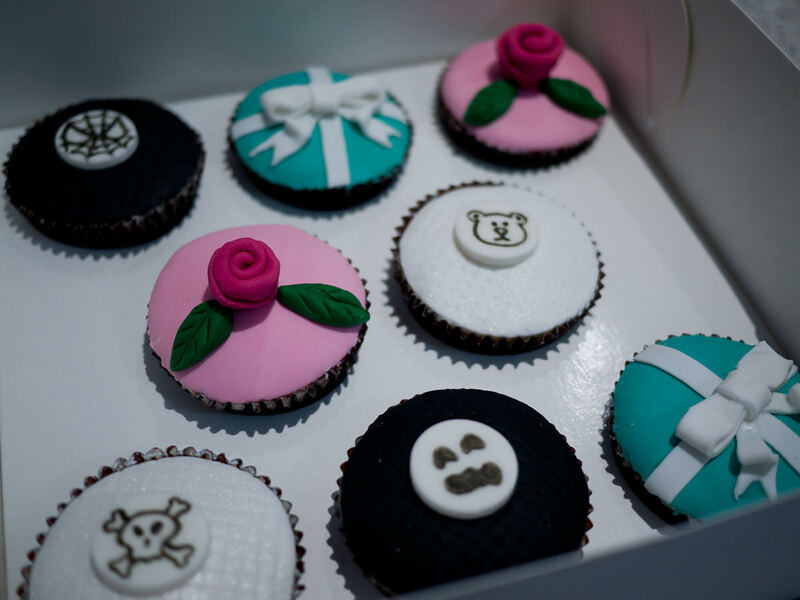 On a Thursday evening after work, I attend a Cupcake Teaser Workshop run by Cake Love – Couture Cakes. 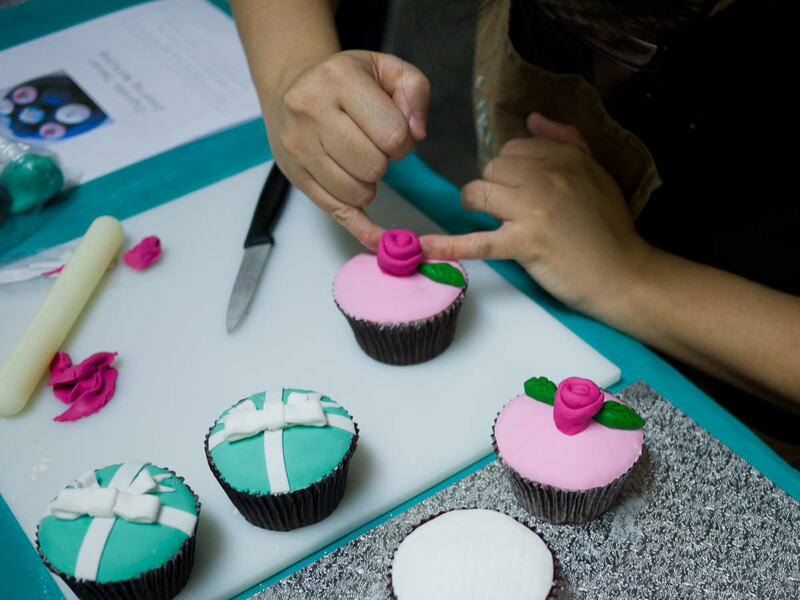 The class is an introduction to cupcake decorating using fondant and is held in the back room of gourmet food and kitchenware shop Epicurious in Subiaco. 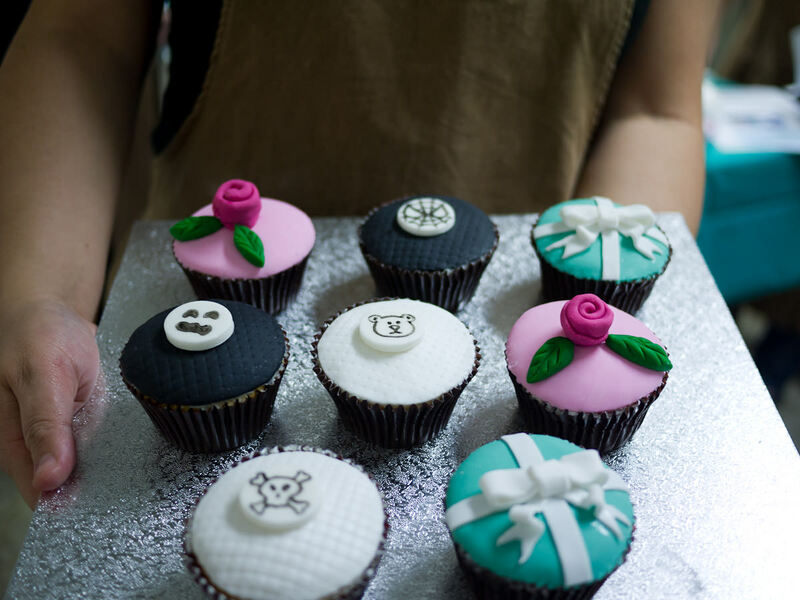 Each participant has her own eight cupcakes to decorate. I’ve never used fondant before and am looking forward to having a go. Our stations are each set up with an apron, set of tools and all the equipment we’ll need. 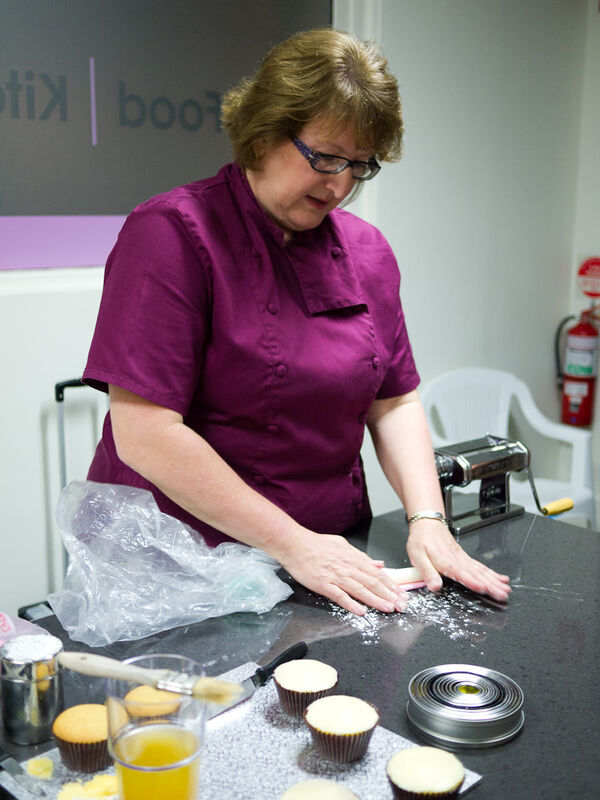 Glenda teaches us how to prepare our cupcakes with white chocolate ganache before we roll out the fondant and apply it to the top of our cupcakes. 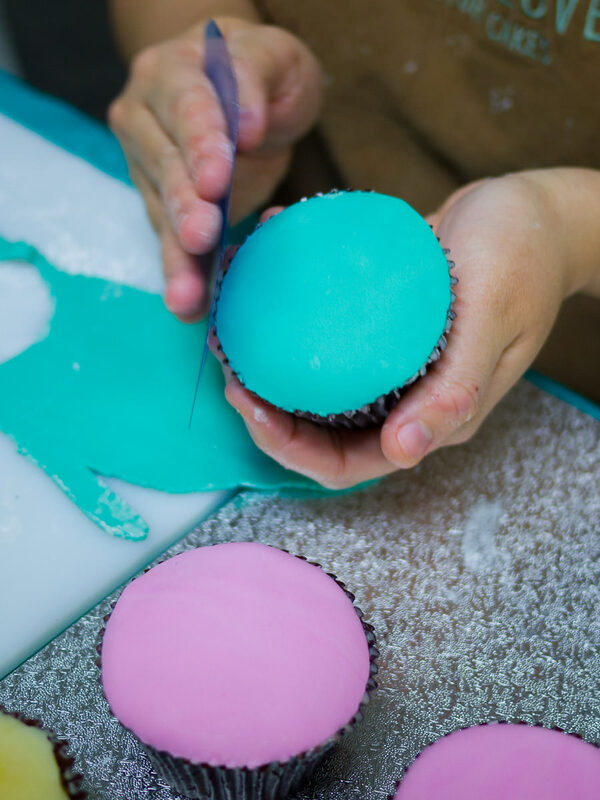 I take photographs throughout the class whenever I get the chance, but when my hands are too busy as I work on my cupcakes, Winnie, the other half of Cake Love, offers to take some action shots with my camera. So this is me smoothing the surface of my green fondant-covered cupcake. Winnie teaches us how to make Tiffany bows. I mess up my first bow and re-do it three times before I’m satisfied. I know they could be better, but I’m pretty chuffed with my first efforts. I’m so engrossed in what I’m doing I haven’t thought about dinner at all (highly unusual for me, I know!) but I’m pretty happy to see the fresh hot pizza from Crust, smothered in sauce and toppings. The Vegetarian Supreme is loaded with vegetables that include grilled eggplant, spinach, roasted capsicum, mushrooms and sundried tomatoes. 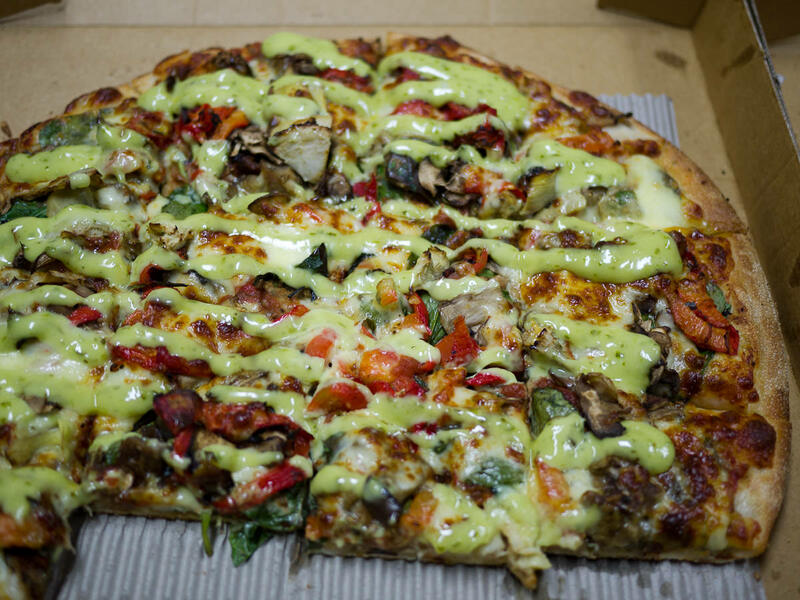 The lurid green sauce is a creamy pesto aioli. 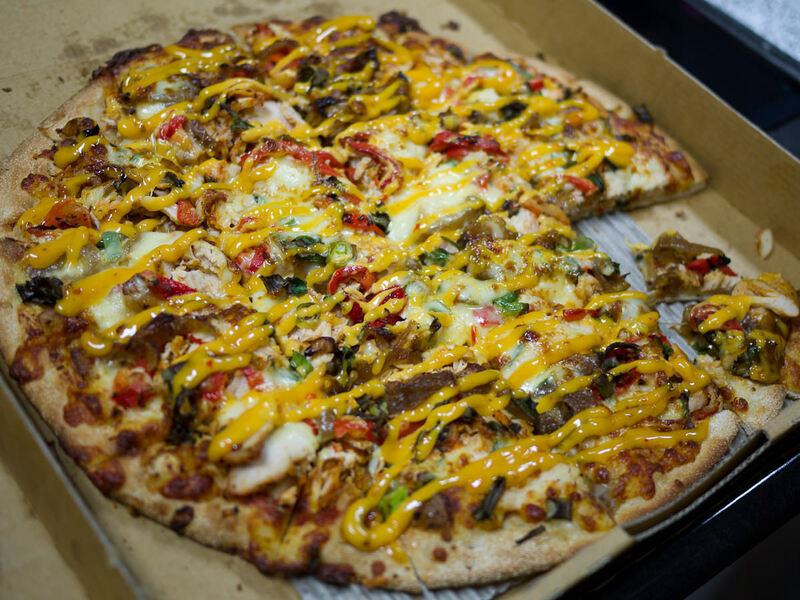 The vegetarian pizza is delicious but I like the Peri-Peri Chicken pizza even more. 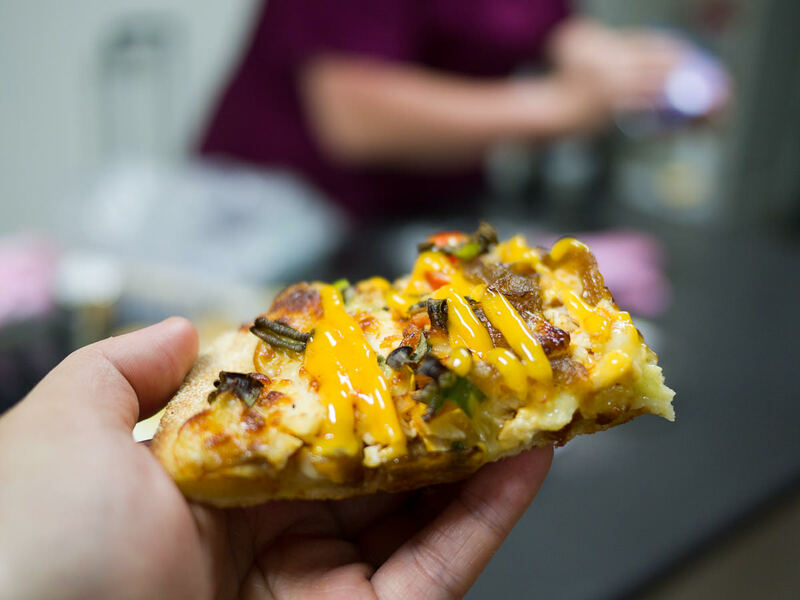 It’s topped with chicken breast, roasted capsicum and caramelised onions, slathered with spicy Peri-Peri sauce. We gather around Glenda and Winnie to watch the next demonstration and munch contentedly on the pizza. 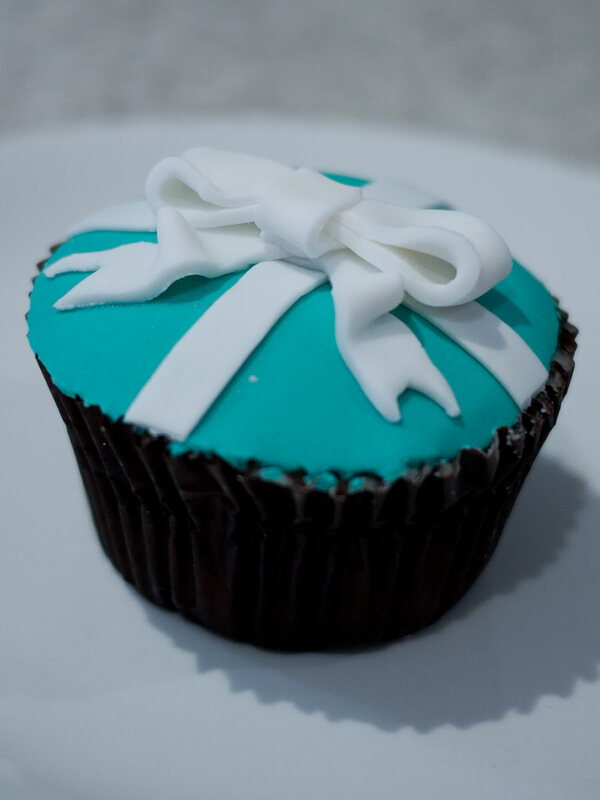 Watching cupcake demo while munching pizza – awesome! 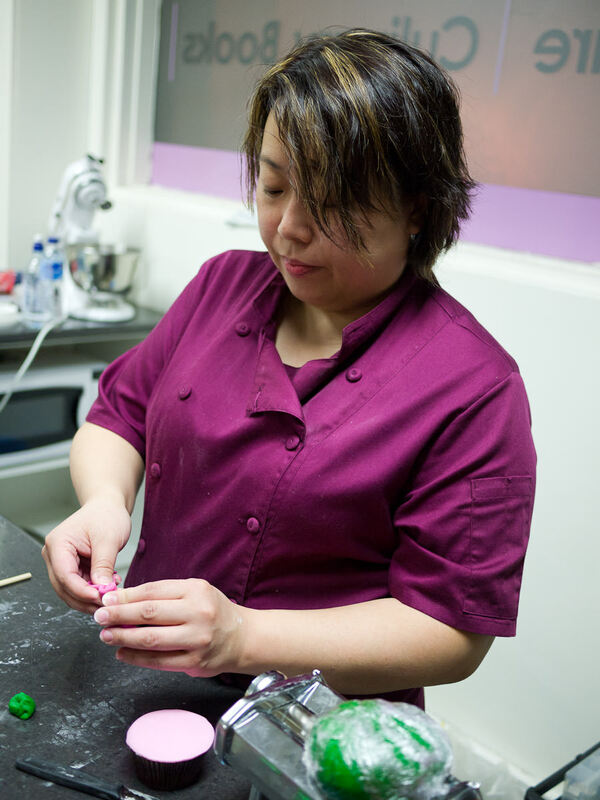 Winnie shows us how to make roses from pink fondant and I can’t wait to make my own. My Tiffany bows have given me unexpected new confidence. I discover Winnie’s expert hands make it look much easier than it is! 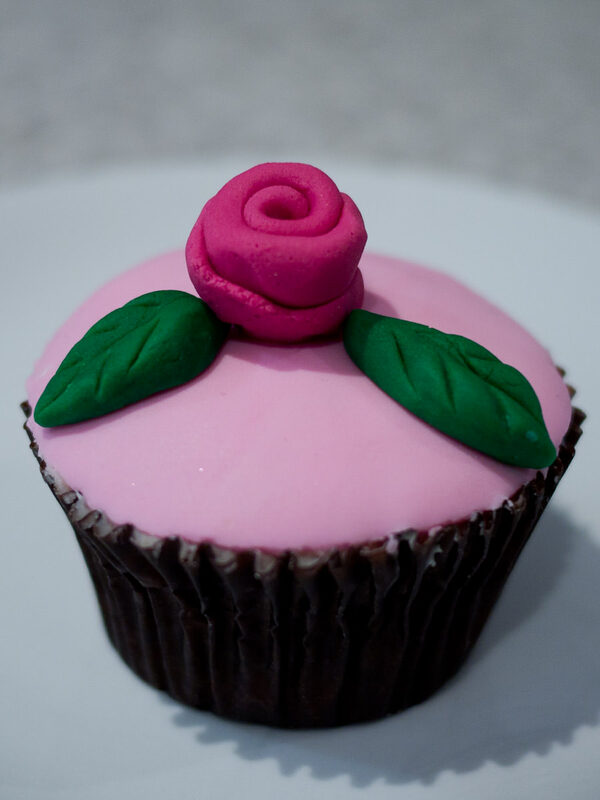 My first rose is pretty terrible, but Glenda shows me again how it’s done and with her help, I manage to create two roses I’m happy to add to my pink-topped cupcakes. At the end of the workshop and three slices of pizza later, I have eight beautifully decorated cupcakes I’m proud to take home, show off and share. I’ve surprised myself this evening – I never thought I’d be able to decorate cupcakes like this. I drew the bear, ghost, Spider-Man and Jolly Roger myself using a special pen with edible ink. 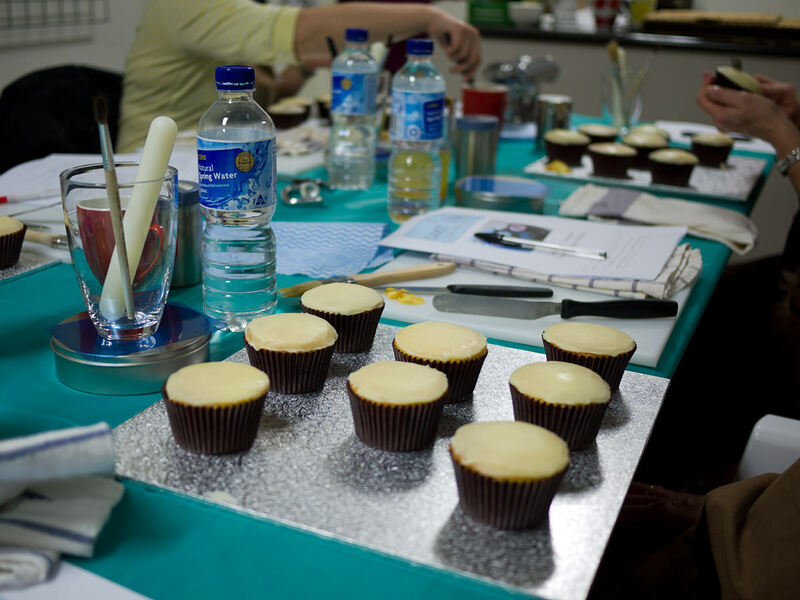 Winnie took a picture of me using the pen – see Cake Love’s cupcake class gallery. Jac’s pretty impressed when I open the cardboard box and show her what I’ve done tonight. 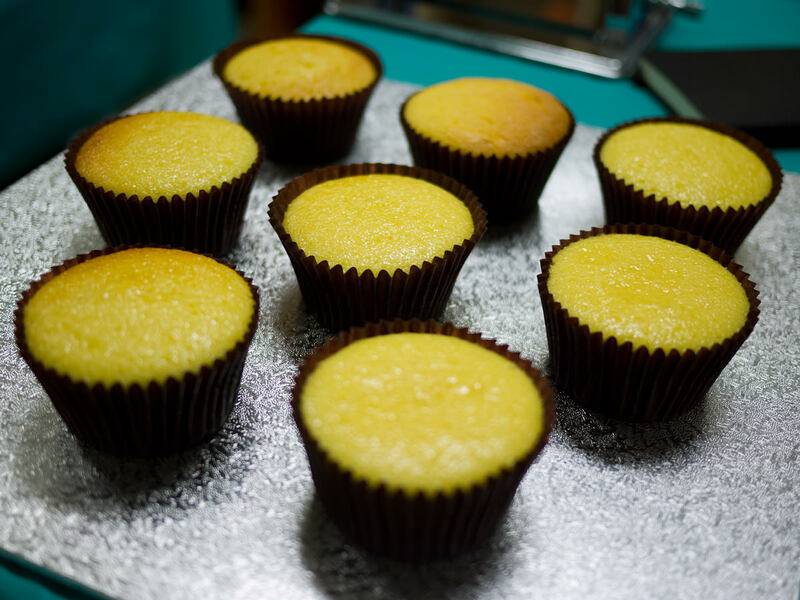 The cupcakes aren’t just pretty – they are soft, moist and buttery and taste really good. 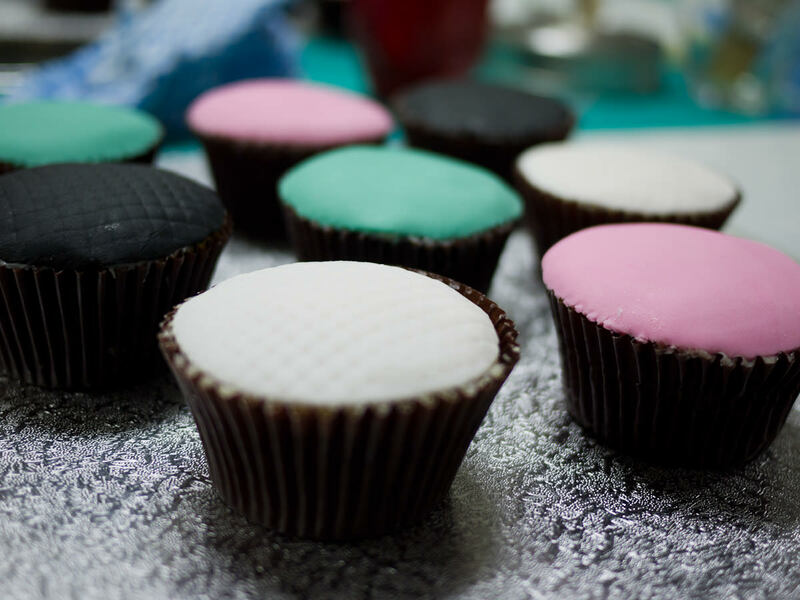 I’m surprised – even the layers of ganache and fondant, they aren’t sickly-sweet like I’d imagined. You get to take home your cupcake creations! 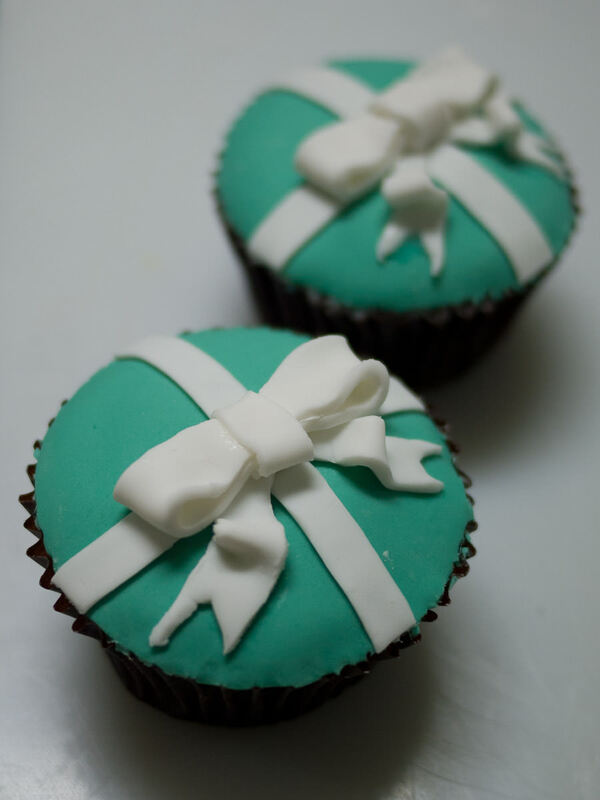 TFP attended the Cake Love Cupcake Teaser Workshop as a guest of Cake Love – Couture Cakes. I’ve returned from my trip to Kuching, Malaysia. It was a very short tour, but I had a wonderful time. 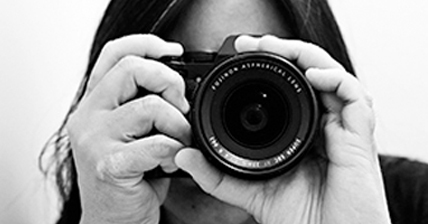 I’ll be editing the photographs and writing the blog posts as soon as I can. Stay turned for some great pictures and stories from Kuching.